Why do some people get sober and stay sober and others don’t? In order to answer that, it is important to understand that there really isn’t one primary factor that causes a substance abuser to decide to enter into recovery and stay there. Occasionally some people try and create a single reason. Many times we hear the following “I finally had enough”, “I had reached my bottom”, or “I had a moment of clarity”. Sure, these answers might be sufficient but they are vague and not indicative of any true reasons that we can measure. And unfortunately, it seems that many times a substance abuser appears to be sincerely motivated to stay sober and yet doesn’t. He may even be surrounded in a recovery environment and has become what is referred to as a “chronic relapser”. The question that, ultimately, we are trying to answer is the question that many families ask themselves. Why does a person get clean and sober and stay that way? What can we do to help our loved one to stay clean and sober? Earlier, we have stated that we feel there isn’t one primary factor that causes a substance abuser to enter into treatment and then become active in recovery. However, that doesn’t mean that there aren’t reasons. 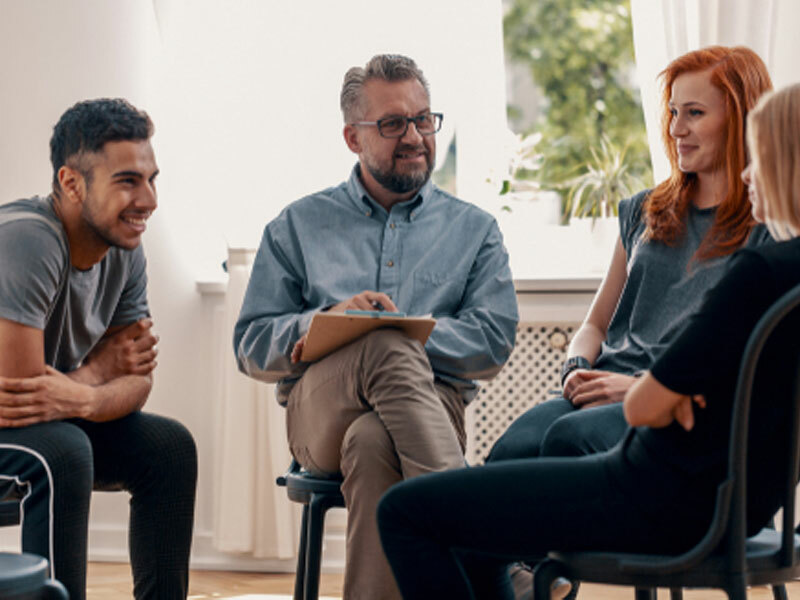 Rather than one reason, we feel that there are four primary factors that must exist for an addict to experience a successful recovery and stay there for a reasonable period. 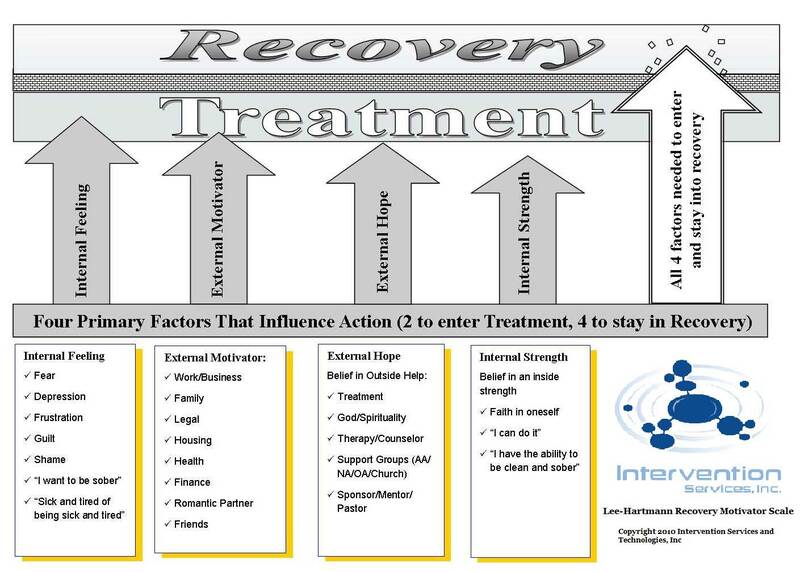 In order to help families understand why someone enters into treatment but doesn’t commit to long-lasting recovery, we have developed what is called the Lee-Hartmann Recovery Motivator Scale pictured below. Essentially, this scale lists four separate factors that influence a substance abuser in terms of long-lasting recovery. One of these factors is enough to cause someone to temporarily quit, two of these factors are enough to cause someone to enter into some form of treatment…but all four of these factors are needed to cause someone to commit to long-term recovery. Generally speaking, those that have only one of the factors above do not enter treatment or recovery. Those that have only 2 or 3 factors, usually are willing to enter treatment but do not enter recovery. Only those with all 4 factors willingly enter treatment and recovery and stay there for a significant period of time.